B.J. Thomas will perform a free concert Saturday April 16 for Red River Credit Union members at the Pleasant Grove Performing Arts Center located at 5406 McKnight Road. For Freedom, Family and Future, the Annual Four States Friends of the NRA Banquet will take place at the Four States Fairgrounds on May 10. Doors open at 5:30 P.M. for Dinner, Live Auction and so much more. The Texarkana Texas SWAT team recently had the chance to participate in a joint exercise with the Longview Police Department in Big Sandy, Texas at the International ALERT Academy. Texarkana Arkansas Police Officer Corporal Les Munn has been named “National Sheepdog of the Year” by the Sheep Dog Impact Assistance organization. Corporal Munn was nominated and won on a local level, then today was awarded the National honor. There is a new N.A.M.I. Support Group for family members and care-givers of people living with mental illness. 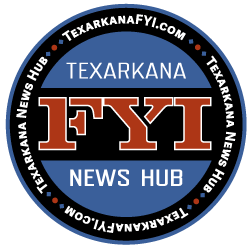 Meetings will take place the second Tuesday of every month from 7:00 P.M. to 8:30 P.M..
Texarkana Texas Police have arrested a woman for allegedly stealing from her employer. Latisha Nicole Jenkins, 32, of Texarkana, Texas was arrested late last week for felony Theft of Property after she used a company debit card to make personal purchases totaling more than $74,000. 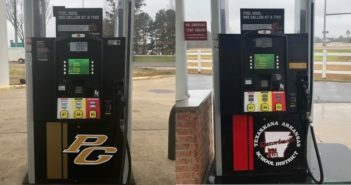 The Texarkana Arkansas Police are warning citizens of a scam circulating in the Texarkana area. After 36 years of service with the Texarkana Arkansas Fire Department, Chief Bobby Honea will be retiring on April 8, 2016. Chief Honea joined the department in 1980 and was promoted to Chief in 1999. Saturday April 9 at the Texarkana Texas Convention Center the area’s best and most respected Health and Fitness experts will gather at the #LiveFitTexarkana Fitness Expo in the Texarkana Texas Convention Center with something for everyone. The Texas A&M – Texarkana Eagles will take on the number one ranked team in their league Georgia Gwinnett College of Lawrenceville, Georgia for the third game of the weekend Sunday at 1:00 P.M..